“Eight-hundred-and-seventy-four tonnes of solid concrete box enclosing four rooms of perfect Funktion One sound, two live stages, and an epic main clubroom,” says Aaron Mellor, Founder & MD of a genuine British treasure. Thirteen years young in 2018, if Newcastle’s DIGITAL is known for anything it’s breaking new ground. When the first parties were thrown here, circa 2005, DJ Mag was quick to apply the label ‘Fabric of the North’, and those who have been are unlikely to argue with us. At the time it was home to one of just three Funktion One system installs in the world, and this desire to create a club without compromise continues today. While live stages add a different dimension to what’s possible once through the door, DJs still rule the roost. Hence Sven Väth, Fatboy Slim, Skream, Ben Klock, TQD and Leftfield, all making booth-side appearances in the last year alone, while residents Jacky, Cristoph, and Patrick Topping hold it down. Crews such as the legendary Shindig, Motion and Defected look to this address for their parties, and that famously full-throttle North East English party spirit. 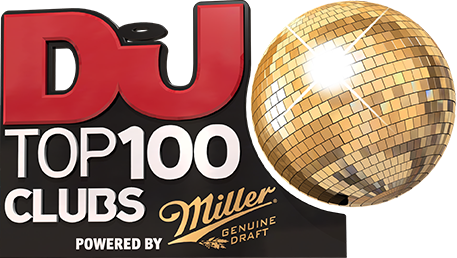 A jewel in the UK’s clubbing crown, we can’t imagine this poll without it.